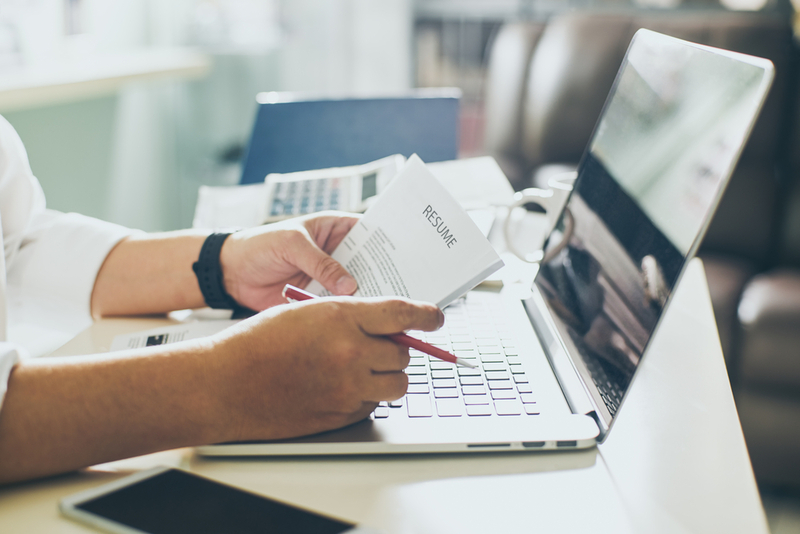 Whether you’re working with a HVAC recruiter, you’re just starting out in the field, or you’re looking for a new opportunity to advance your HVAC career, you need a stand-out resume that will appeal to potential employers. Here are some of the best things you can include on your HVAC resume. Many resume templates feature an objective statement where you specify what position you are interested in. But objective statements are not only redundant, but they focus too much on what you want from the employer and not enough on what you can give to the employer. Putting an executive summary in place of the objective statement is a better way to start a resume. An executive summary is a brief overview of why you are the best candidate. It can take the form of 3-5 short sentences or bullet points. In an executive summary, you can highlight your skills and achievement and showcase how you can be an asset to the employer. Resumes often look the same. If you look at sample resumes for HVAC service jobs, you’ll likely see a lot of overlap in the skills and activities listed. You’ll see buzzwords like project management, customer service, and troubleshooting. You’ll probably see something about Microsoft office. These are things that most people just assume belong on a resume because they’ve been standardized. Instead of focusing on skills and actions that everybody can do, highlight the ones you have that make you special. Consider what soft skills you possess. Many people forget to include skills related to communication, attitude, social interaction, etc. so this is a way to stand out. Many resumes read like a list of duties and responsibilities. The candidate lists the places they worked, followed by a job description. Employers do not care what your past job responsibilities were. They want to know what you accomplished at your past job. How did the work you do contribute to overall company goals? Include quantifiable data. For example, “increased sales in my district by 200%” appeals to employers more than “installed HVAC equipment.” You want your descriptions to be detailed but straightforward. It’s tempting to list every job you’ve ever had. You want to show off the range of experiences and skills that you have. But chances are not all of your past jobs relate to the one you’re applying for. Look closely at the list of expectations and qualifications for the role. If the past job doesn’t overlap with the job you’re applying to leave it off. If you had a job as a baker twenty years ago, it may not be relevant to the HVAC equipment sales job you’re applying to now.The biggest thing to keep in mind is that employees want to see a resume that has been tailored for the open position. No matter how good the resume looks on the surface, if it comes off as generic, the employer will not be impressed. As one of the leading executive recruiters in the Building Technologies & Construction industries, Delta Diversified knows this unique market. Whether you’re looking for an individual sales professional all the way up to an executive business leader, we can help. Are you a hiring authority in need of talent? Submit a search request today. Searching for an opportunity in the industry? Contact Delta Diversified today to discuss your career path or browse our open positions.